Having previously conceded that it would miss the December deadline to complete long-overrunning work on the Jubilee line, PPP contractor Tube Lines has now admitted that closures could be necessary on up to 28 weekends next year. Assuming parts of the line are closed every weekend, that means the work won't be completed until 2010's halfway in the bag. The grim news has exercised Boris Johnson: on Friday he wrote a stiff missive to Tube Lines boss Dean Finch, demanding that the company "deliver a credible programme for a reliable line upgrade which includes the true extent of closures you will be seeking". Tube Lines has previously blamed London Underground for the delay, claiming that they have been given only half the weekends asked for, an argument that crumbles when you consider that the line has been closed for almost every weekend between June and November this year. 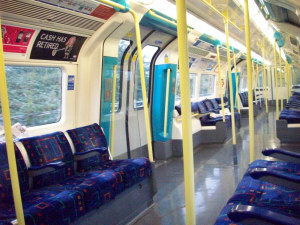 London Underground is concerned that the delay could endanger Tube Lines' forthcoming upgrade of the Northern line, which currently has a delivery date of January 2012; staff and equipment used on the Jubilee line are to be transferred upon completion, and the longer it runs over, the more chance there is of a knock-on effect for other projects. Pissed-off Jubilee liners can expect a third more capacity when the upgrades are complete, but they're going to become awfully familiar with rail-replacement bus drivers in the meantime.